As the last of your children head off to college you may be contemplating downsizing your home. Numerous empty nesters seek adult living condominiums, however there are many others who decide that it is finally time to the build the custom home of their dreams. When contemplating building a custom home in your later adult life it is important that you think of your health situation 10 and 20 years down the road and not just present day. You may be in excellent health today, but unfortunately father time has a way of catching up with all of us. In addition, unlike our younger years, older adults have a tendency not to move as often. To these points, it is wise when deciding upon a custom home building project that you consider a number of factors when specifying your new home and floorplan. 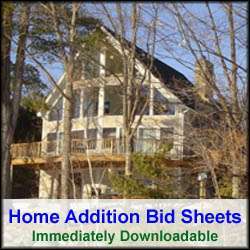 Use this custom home building checklist for planning and estimating home building costs for your new home. First and foremost in adult living design considerations, for a custom home building, are the number of floors in the home. For many of us, our knees are the first to give out in later years. Consequently a single story home design is frequently a better choice for senior adults. If you prefer the space however and still desire a two story home, you alternatively may want to consider having the master bedroom on the first floor. If you do decide on a second floor, make sure the stairway has wide steps and handrails and that no-slip material is applied to the treads. In addition, make sure the stairway width could eventually support an elevator seat system. Falls are a frequent occurrence with older adults. Another area of consideration is hallway and interior door widths. Frequently hallways and interior doors are designed too narrowly to support wheel chairs. Consequently, you may want to consider making hallway and door widths 36” wide to accommodate these types of healthcare products. Door knobs can also be difficult to operate for those who have arthritis. Door handles are a much better alternative for seniors as they require less motor skills to turn. In the kitchen there are a number of ideas that can be helpful for seniors. Again, to accommodate wheelchairs, countertops (or a portion of them) should extend out far enough over cabinets so that a wheelchair can slide under it. In addition, countertops should be lowered a couple inches below standard height levels. Also, consider using cabinet shelves that roll/slide out to prevent frequent bending. Use this Kitchen Remodeling checklist for planning and estimating kitchen remodeling costs for your new senior friendly kitchen. In the bathroom, design tub and shower areas with support hand rails to aid getting into and out of them. Also considering purchasing shower/tub units with built in seats. If you have plans for a custom built shower unit, then consider a seat or bench in the design of it. When choosing shower heads, select ones with flexible hoses that reach the seat/bench area. And with any shower/tub unit always make sure it has a non-slip surface. Also in the bathroom, consider installing a closet with plenty of shelving to enable towels and toiletries to be easily stored and utilized. Avoid storage underneath the sink as it can be difficult to reach as a senior adult. Use this Bathroom Remodeling checklist for planning and estimating bathroom remodeling costs for your new senior friendly bathroom. Lighting is another consideration. You may want to install track lighting in a hallway that can light up large, long swaths of space with just the flick of a single switch. You may also want to consider installing sound activated lights throughout the open (Clap-on type products). In addition to the above safety/health considerations, custom home building for adult living should also include features that you have always wanted in a home but never had the resources to include. Many adults have hobbies that they have pursued as time permitted in their younger years. As older adults, free from the work and care of children, we frequently have time and desire to expand on our hobbies. Consider in your custom home floorplan space or rooms for your hobbies. If painting is your thing, then include a loft space where you can store your paints and easels, and paint. If playing the piano is your hobby, then design a music room that can support your grand piano. Your senior adult years should be the time for you to relax and enjoy the fruits of your labor and home. When deciding on building a custom home for your retirement years look at both your present and possible future health situations and plan accordingly. Make you custom home functional so that you can maintain your independence and your quality of life for as long as possible. The ideas suggested in this article can help do this so discuss these ideas with your architect as you build your next dream home.